As I blogged earlier this year, there has been a rift for collaboration enabled users migrating from the traditional desktop computing model to a virtual desktop environment. Specifically many collaboration clients require some time of local media processing for either video or audio. In either case, when the desktop is moved to a centralized datacenter and is separate from the client with low speed connection, a degradation in these features can be experienced. Now, after much anticipation, Cisco’s VXI consortium has produced a client that will solve this. Enter the VXC 6215 client. Rather than being a zero client like the previous VXC 2100 and 2200 models, this client contains a local linux image that will allow for local media processing while simultaneously communicating with the upstream VDI infrastructure, whether it be Citrix or VMware View. 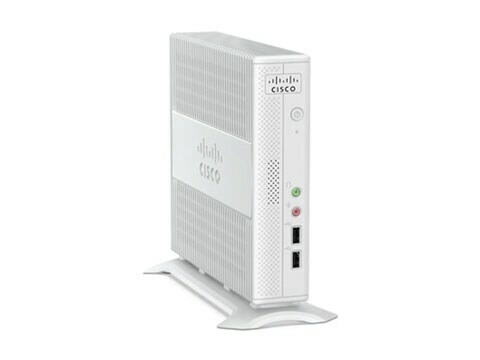 Out of the gate this thing will support video termination with Cisco Unified Personal Communicator or any of the Cisco Client Services Framework integrations with Microsoft Lync. Initial protocol support will include RDP7, ICA Agent 11+, XenDesktop 4.x,5.x, and PCoIP compatibility with VMware View 5.x. This product announcement finally lets us realize what VXI is meant to be. Product availability Q4CY2011 to Q1CY2012.